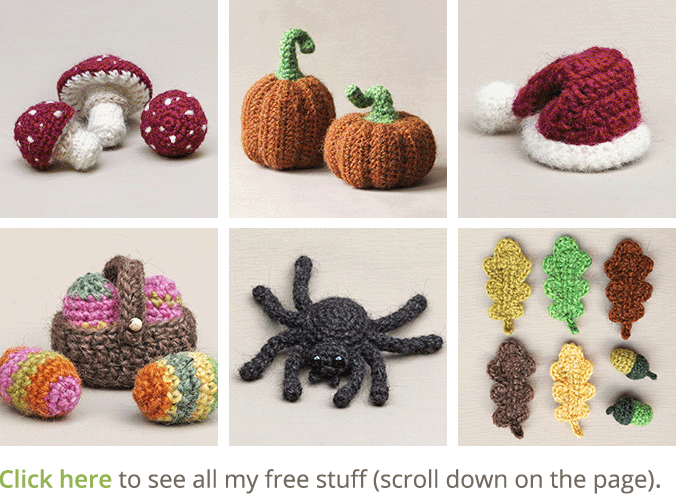 A free Halloween pattern, Mr. Creeper the spider. Halloween is something that isn’t celebrated in the Netherlands, but I would love it. It looks and sounds like an exciting time with fun ‘rituals’ and attributes. 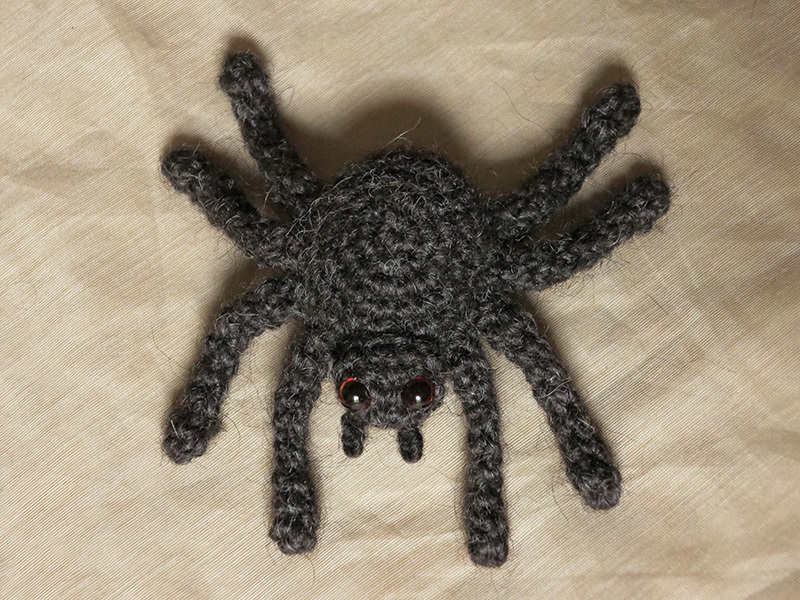 As a thanks to all of you who bought my patterns and because it’s just fun, I designed a cuddly Halloween spider. 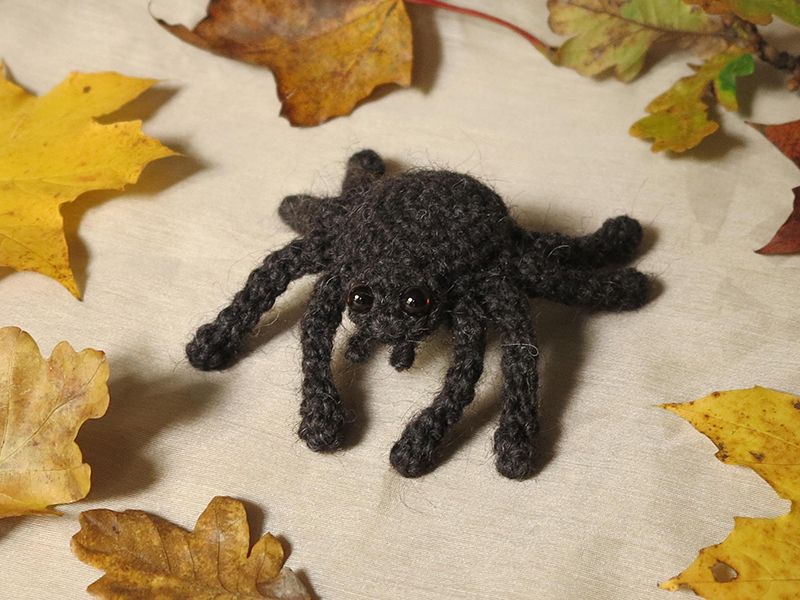 A fearsome fuzzy crochet spider called Mr. Creeper. A warning for scared mums….here he is! And now, the pattern to make Mr. Creeper. For this pattern you’ll need worsted weight yarn and hook US E/3,5 mm. to get an approximately 6 inch / 15 cm tall spider, measured from front to back paw. I used the darkest brown colour of Lètt Lopi, a 100% wool. You will also need fiberfill, animal eyes, I used 7 mm eyes. Safety eyes with big backs won’t fit in the head so make sure you are going to use eyes that do fit. You also need pipe cleaners for the legs, so you can bend them into shape. Now close the gap by putting the needle from the inside out, trough all the outside loops of the 6 st, clockwise. If you do it correctly, you can now pull the tail and it will close the gab. Sew in the end. Leave tails for sewing. You can now insert the pipe cleaners. Stretch the paws so they get the length you want them to have and leave a bit of pipe cleaner sticking out, which you can later push into the body. Finish the spiders face by attaching the eyes and sew on the jaws. I sewed Mr. Creepers jaws tight by sewing both ends to the head. Now you can attach the head to the body. After this I attached the paws neatly opposite to each other, by pushing in the ends of the pipe cleaners. If they are in the right spots, sew them tight. Ah, now he’s finished! Here’s another image to help you get everything right. ooh, I’ll give this a go, my kids love Halloween. Great! 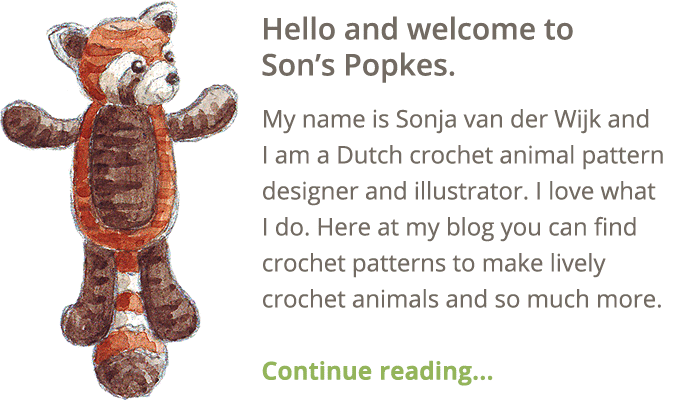 Good to hear from you, and have fun with the pattern! 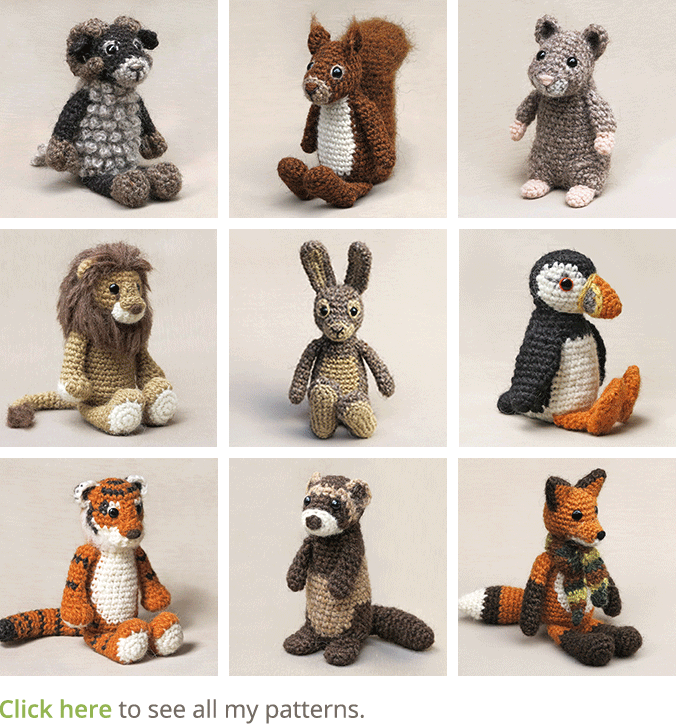 Thank you for the pattern but when do you use the fibrefill? Is it in the body and the head? Yes, in both the body and the head. Not in the rest of the spider. Very nice! I’m too late for this year, but I do have a friend who is terrified of spiders, so she will (NOT) love this!